Former executive Vice President of Price Club Jim Sinegal left the company to form Costco Wholesale Corporation with Jeffery Brotman in 1983. Sol and Robert Price, founders of Price Club, created the “warehouse retailing” business model that Costco follows: products are sold in bulk at warehouses typically located in the outskirts of a city. Costco purchases directly from the manufacturer, taking delivery at its warehouse stores, thereby eliminating the need to double-handle products. In 1993, Costco Wholesale Corporation contracted a partial merger with Price Club, which resulted in PriceCostco Inc., whose primary objective was global expansion. But sales dropped despite new locations in Mexico, South Korea and England. Price and Sinegal could not agree on major issues, particularly how to recover losses and the general growth of the company. As a result, the merger was dissolved in 1994. Sinegal maintained ownership of PriceCostco Inc. and Price formed Price Enterprises. PriceCostco Inc. was renamed Costco Wholesale in 1997. Costco requires a membership to shop. The annual membership fee is $50 in the United States, and includes an additional card for spouse. Businesses can purchase up to six additional cards for $40 each. The Executive Membership fee is $100 a year and provides a multitude of merchant services for the business owner, in addition to a 2 percent annual rebate up to $500. Costco sells brand name products including groceries, appliances, toys, hardware, jewelry, health and beauty aids, furniture, office supplies, electronics, clothing and tires. Kirkland Signature items are also represented at Costco, including items such as juice, housewares, clothing and detergent. A division of Costco, Costco Wholesale Industries runs manufacturing businesses that include optical laboratories, food packaging and distribution of jewelry. Annual Revenue: $105.1 billion, of which $65 billion in the U.S. Number of Employees: 174,000 worldwide, including 107,000 in the U.S. Does the Costco in Sterling, VA carry large mixed fresh fruit bowls for a party. Also, do they carry deviled eggs, large quantity for a party? I need Peter and pats pierogies. HELP! Are you going to stop carrying edamame spaghetti? ☹️ It is so good and you have a good price on it. My store says it is on the pending discontinuation status. Do you have a beverage Orangina? I bought peter and pats pierogies in Tucson Az. thornydale rd store how can I order them ?????? and where ?? My favorite Costco food item is “Fruit Chocs,” chocolate covered pineapple which has now been deleted in Minnesota. Why? Also deleted is the jalapeño yoghurt dip. Why? I go to Weight Watchers meetings and hear members talk about Costco products that are on our food plan and then they are deleted. This is very disappointing! I purchased a large package of munester cheese last week at the Costco in Clearwater, Florida. I today (less than a week later) went to use the cheese for a get together and to my shock, when I opened the yet unopened package, it was all moldy – all the slices. What is my recourse. I do not want to hang onto this cheese until the next time I go to Costco as it is rather far from my home. Is there a way to get a credit for the cheese. I may have to forego shopping there if things get moldy with an April 17 buy by date. Looking for Baily’s Baconwrapped steaks. where to find then, I live in Montana. Why is it I can never find Nancy’s Petite Miniature Quiche in your warehouse on Baltimore Ave in Beltsville? Nancy’s website shows that Costco carries it. You used to have them in a box with 30 or 60 little quiches and you could microwave them. We really like them. When are you getting some more in? When are you going to get yellow lake perch at your st.peters, MO location. They were very fresh and great tasting. 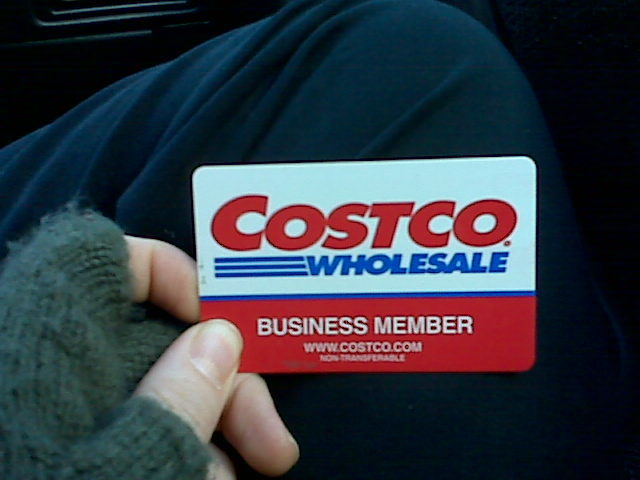 I would like to become a costco member because, you have large amount when buying items, and good healthy foods with low prices. We were in Sarasota Florida bought pop corn that was chedder and Carmel flavor. I can’t get it in Dedham Ma Could you tell me how I can get this product?